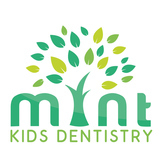 At Mint Kids Dentistry, we pride ourselves on billing that is transparent. We discuss treatment plans with you in advance so that you always know what work is being done and what you your payment will be for the visit. However there can be unexpected discoveries during a procedure which may affect the cost but we work to meet your expectations and avoid surprises. Working with insurance companies can be complex and confusing. Dental insurance plan rarely covers 100% of a procedure and the percentage covered can vary widely depending on the various insurances policies available. We will submit claims on your behalf and we will do our best to tell you the estimated insurance coverage with the understanding that you are ultimately responsible for payment. We accept Mastercard, Visa, American Express, and personal checks. If you have to cancel or change your appointment, we ask for a minimum of 2 Business Days advance notice FROM YOUR APPOINTMENT TIME so that we can give your space to another patient.